Hotel Madhuban is a lovely place to stay in Ujjain. 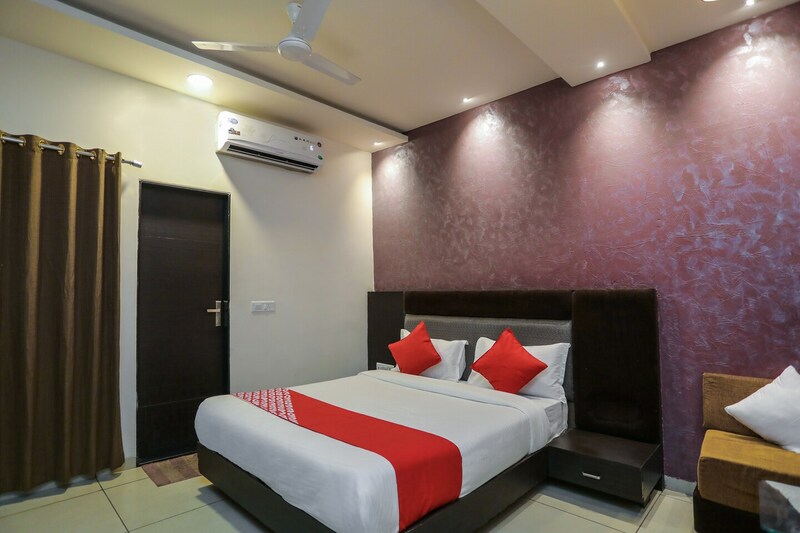 The property keeps the comforts of the guests in mind and provides rooms furnished with amenities that are essential for a comfortable stay. Clean and brightly lit, these rooms are tastefully designed with modernistic and regal wallpaper and lovely lamps. The bathrooms are spotless and well-equipped. There are many facilities provided at this hotel like parking facility, in-house restaurant, and seating area. Banquet Hall can be booked to organize an event or a get together. If your idea is to visit this place and be away from the crowd and noise of the place, then you will find peace in this hotel. Travelling in and around Ujjain becomes easy.